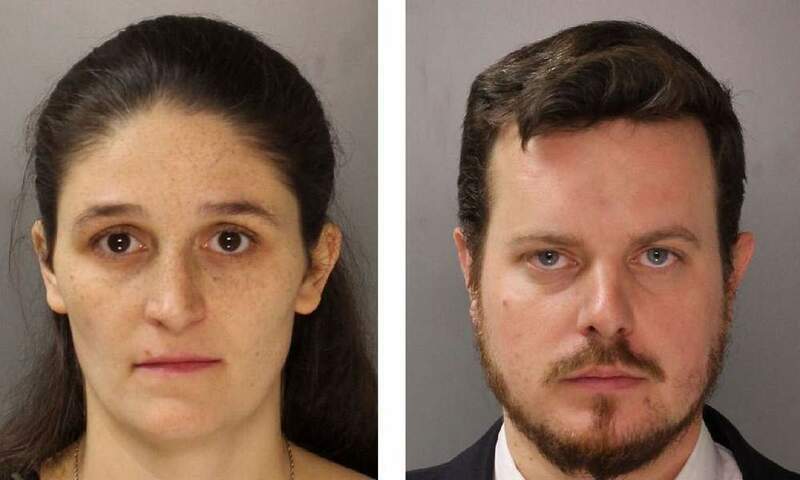 Ella Grace Foster Pennsylvania parents convicted after toddler dies after refusing medical attention cause of religion. 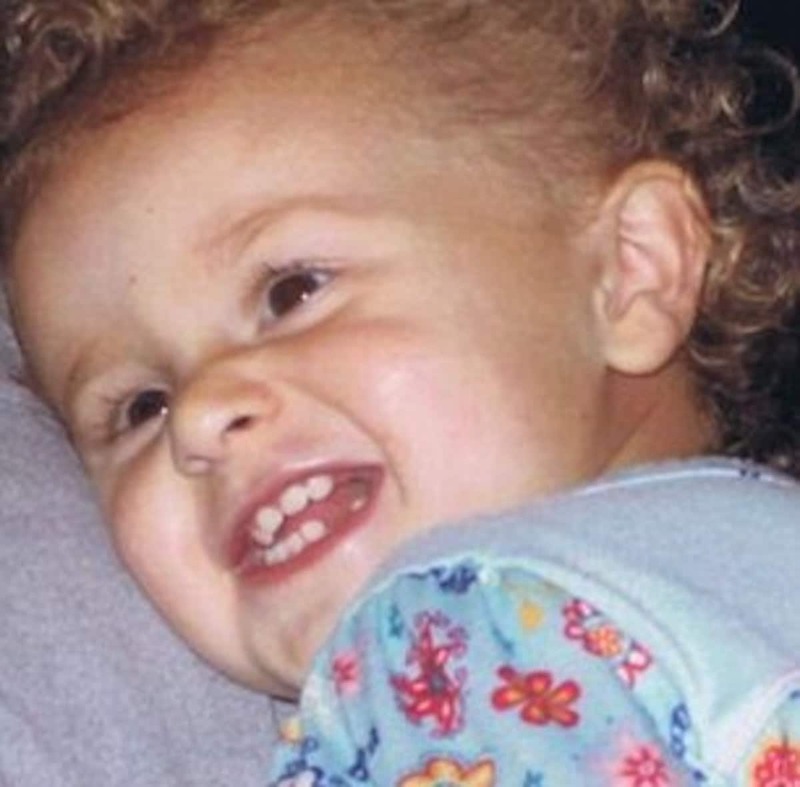 Pictured, Berks County, Pennsylvania toddler, Ella Grace Foster. The parents of two year old Ella Grace Foster, a Pennsylvania toddler are found guilty of child endangerment and involuntary murder after refusing to seek medical attention cause their ‘faith’ doesn’t allow it. The parents of a 2-year-old Pennsylvania girl who died of pneumonia were on Friday found guilty after prosecutors said they declined to seek medical care for the child on religious grounds. Convicted of involuntary manslaughter and child endangerment were Berks County parents, Jonathan Foster, 35, and Grace Foster, 34, in relation to the November 2016 death of daughter Ella Grace Foster in Upper Tulpehocken Township, The Reading Eagle reported. The Fosters, who remain free pending sentencing in April, attributed their daughter’s death to ‘God’s will,’ according to a police affidavit. They told authorities that Ella began showing symptoms of a common cold two days before she died, including lethargy and a sore throat, with the child’s breathing eventually became labored, then rapid, before she died in her father’s arms. The defendants belong to Faith Tabernacle Congregation, which instructs members to avoid doctors and pharmaceutical drugs as per the construct of faith healing. Medical personnel testified that the child likely would have survived had she been given treatment. Defense attorneys declined comment but vowed to ‘pursue all appropriate avenues’ possibly including appeals. They argued that their clients thought their daughter only had a cold. In making their assessment, the parent’s attorney R. Davis Younts asked the jury to focus on the facts about what the parents knew, not the opinions of expert witnesses or any feelings about the Fosters’ religious beliefs. Assistant District Attorney Katie Lehman, countered, saying Grace Foster asked their pastor, the child’s grandfather, to anoint the sick child the night before but not another daughter who also had cold symptoms, and her father left work the next morning to help care for her. Ella Grace Foster parents, Jonathan Foster and Grace Foster of Berks County, Pennsylvania. Assistant DA: ‘Ella Grace Foster’s parents weren’t charged because of their faith but because their daughter suffered and died unnecessarily’. During testimony, Rowland Foster, the pastor of the church that the Fosters belonged to, testified that the child’s mother called him the night before her death and he went to the family’s home to pray for and anoint the sick toddler. He said he did not notice any alarming symptoms that night and did not feel a fever when he touched her head. The pastor also said he has never sought medical care for himself or his 11 children. During her closing arguments, Lehman told the jury the parents were charged because their daughter suffered and died unnecessarily, not because of their beliefs. As parents, she said the Fosters had a duty to keep Ella safe. Prosecutors said they haven’t decided what sentence to seek with standard sentencing guidelines for involuntary manslaughter at nine to 16 months in prison, with a maximum allowed term of 10 years. The couple’s guilty verdict comes after jurors deliberated for more than four hours Thursday without reaching a verdict, then had to start over Friday with a new member of the panel after one juror became sick. The new panel reached a verdict after about 2 1/2 hours of deliberation. The guilty verdict led to more than 80 supporters who had gathered at the court ‘muffling’ cries as they comforted one another with hugs and handshakes. In December, a judge dismissed a charge against the congregation’s pastor of failure to report suspected abuse. 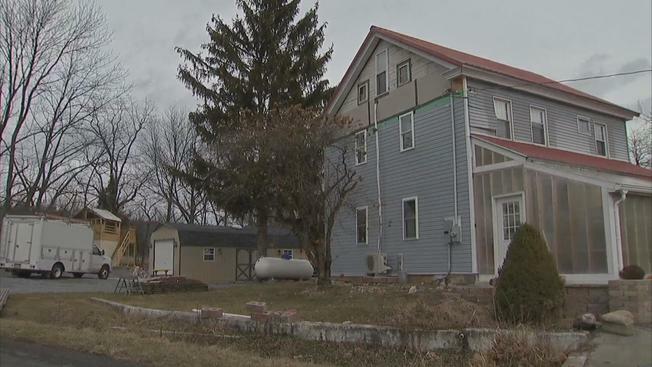 Pictured the Berks County, PA family home where two year old toddler, Ella Grace Foster died two days after allegedly contracting a ‘cold’.